This is a special episode of DSRA with two guests! 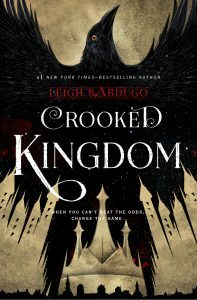 Following the release of the second book in the Six of Crows duology, Kyle Willoughby and Claire White interview New York Times and USA Today best selling author Leigh Bardugo. Set in a world that is both magical and industrial, Bardugo’s story follows an international group of young criminals on a dangerous heist. Kyle and Claire are also joined by award winning narrator, Lauren Fortgang who has worked on all of Bardugo’s audiobooks in “The Grishaverse”. Over the course of the show our hosts and guests will discuss the influences behind the fictional city of Ketterdam, as well as the process behind the novel and its audiobook.